Maddie Stevens, 11, was left in tears after missing the outing because only pupils with 100% attendance records were permitted. Heartless teachers stopped a 11-year-old going on an end-of-term restaurant treat because she went to her mother’s funeral. Maddie Stevens was left sobbing after missing the outing to Frankie & Benny’s with pals as only pupils with 100% attendance records were permitted. Mum Gail, 48, died in January after a two-year battle with breast cancer and her daughter took the day off to be at the funeral. Maddie’s dad Andy is furious with St Giles’ Junior School in Bedworth, Warks, as teachers still refuse to apologise even after being told the reason behind her absence. Finance manager Andy, 48, fumed: “It’s so insensitive after everything Maddie has been through. 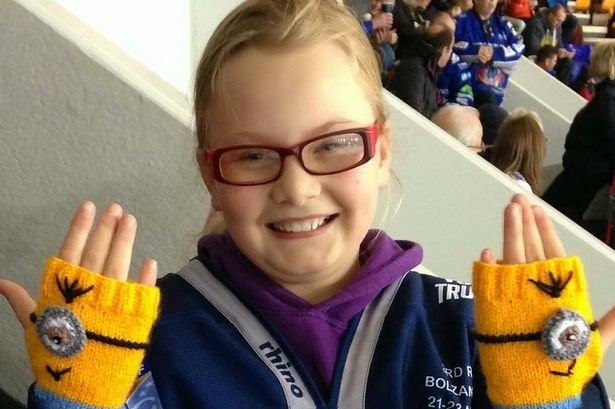 “She has been absolutely amazing since her mum died. She took only one day off to go the funeral, because we wanted to keep things as normal as we could.